For only $350 (preliminary pricing), you’ll be able to purchase a Bluetooth dongle that will give you access to sync with the free SCT app for iOS devices. 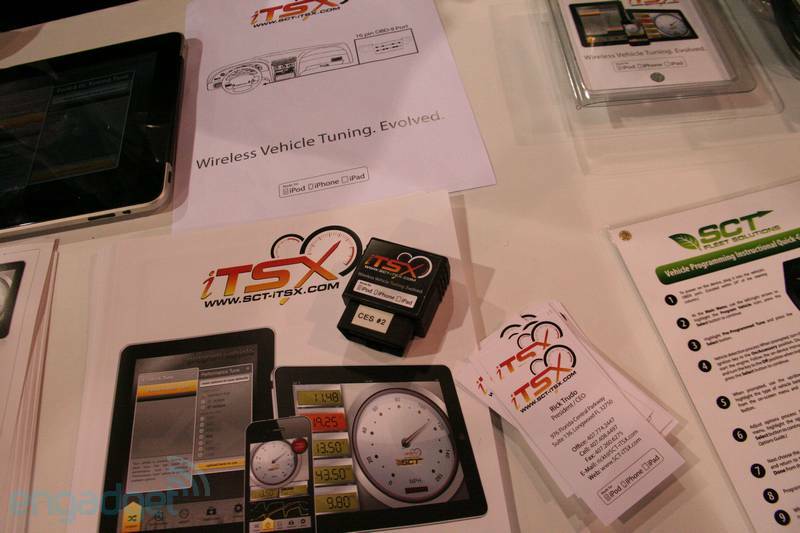 Just like the TSX, Livewire, X3 and all of SCT’s earlier models, you can choose from SCT’s preloaded strategy tunes or your own custom tunes from an SCT dealer (such as Bama Custom Tuning!). Returning to stock, reading DTC’s (check engine lights), and datalogging hundreds of parameters is easy and can be done on-screen all within the application. 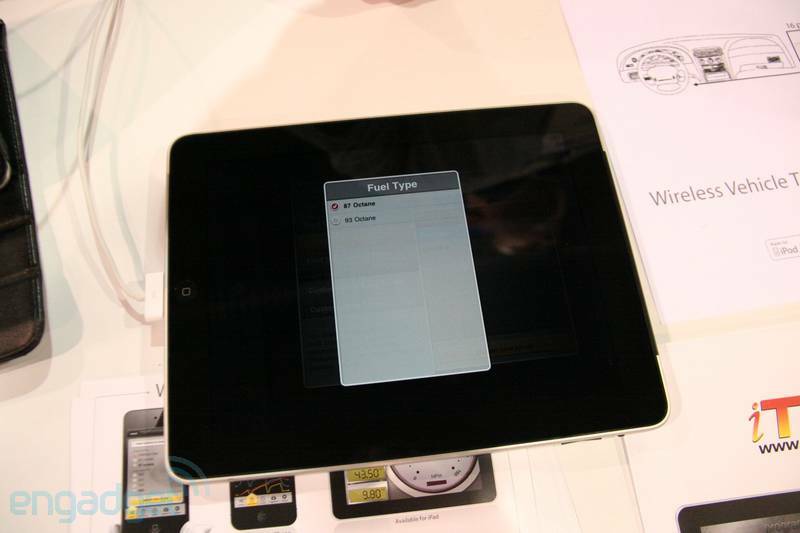 *Thanks to our friends over at Engadget for the pics/video. It’s crazy how far the technology has come! 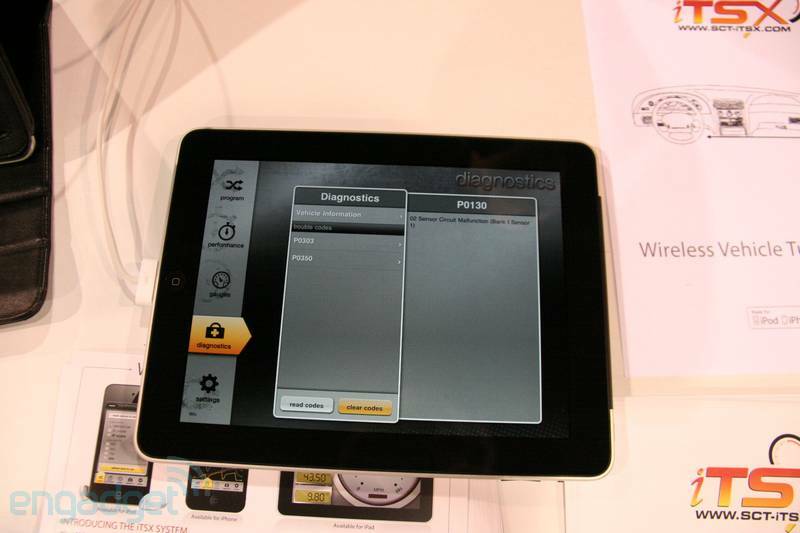 Any Mustang from 1996 and up will be able to enjoy wireless tuning and datalogging in just a few months. SCT is just waiting for approval from Apple on the application. The hardware is ready to go! I’ll keep you in the loop as soon as we know more about availability. 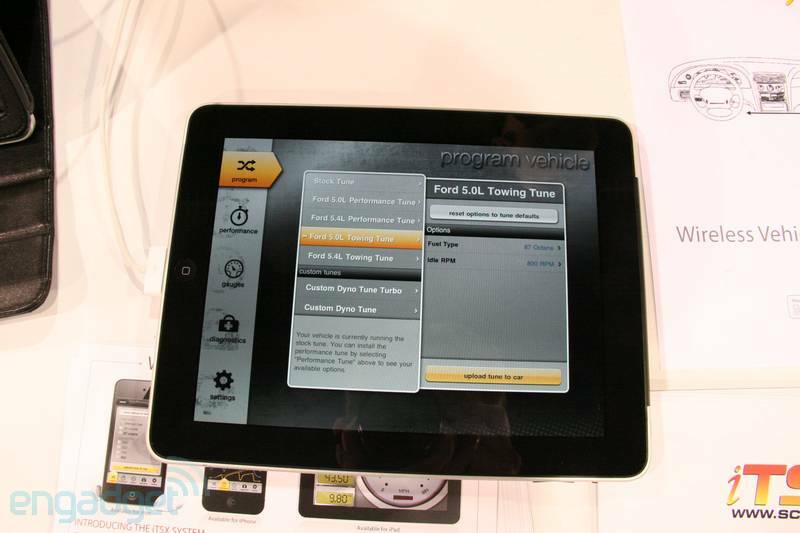 What do you think is the next step in technology for Mustang tuning? Previous Entry Debate: Automatic vs. Manual Mustangs – Which is Better? Next Entry New 2012 Boss or Original Boss 302? Bluetooth is still not stable. I’d be worried about bricking the ECU if comm broke down. I’ll stick to a hard-wired tuner – it’s not like an inconvenience. Have you ever heard of this happening to anyone? This is really cool. For us iPad users, is there any chance that AM will be offering this dongle and custom tunes when it becomes available? Also, I didn’t hear it mentioned, but is there any word on the price for the app on our iPads? We will definitely be offering this when it becomes available. The app itself is going to be a free download, but you’ll need to purchase the wireless dongle in order for it to work. The pricing is rumored to be about $350 for the dongle. any chance of making one for android phones? This is awesome. Love the idea of using my iPad, but does this seem a bit steep price wise? I can get the wired one that includes the hardware (with the iPad app I’m providing half the hardware) for only 30 bucks more. I’m not extremely knowledgable on these things so maybe someone can explain. I still think its an innovative use of an iPad. The dongle has to do more than just act as a plug. You are converting the 16 pins out from the OBD2 into a 4-pin USB. After that, it’s software. It’s not worth buying an iPad/Pod/Phone for, but if you already have that, the dongle saves you about $30. At least I assume it’s USB. I don’t know what other connector an iPad might have. Would I be able to use a iPhone the connector has it listed on it?? Their site also mentions iPod and iPhone compatibility, you just get more screen real estate to work with on the iPad. for me, I use Doremisoft Mac AVCHD Converter,which works great for me. u can check it out. I would rather buy the SCT Livewire. 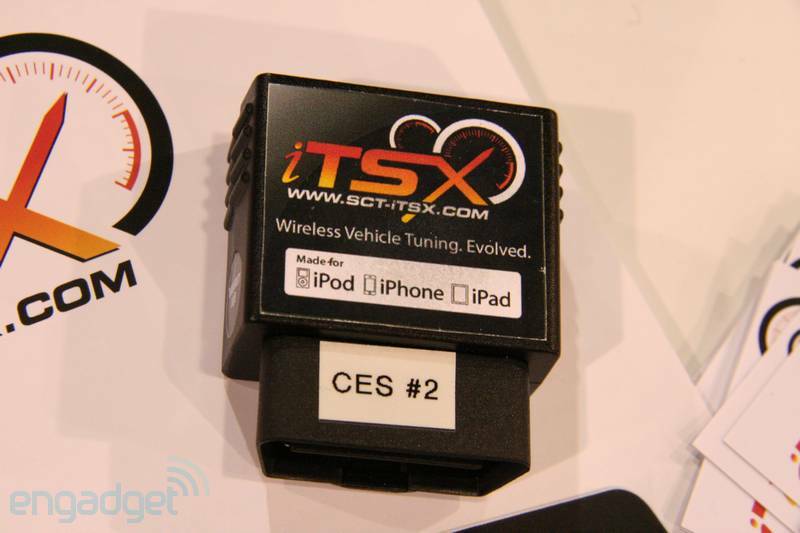 The Ipad does more than SCT tunning on it so how efficient would it really be. At least with the Livewire its nothing but SCT tuning So its built for it. For those who like wireless just something to think about. I love this idea especially if you can change tunes with a smart phone. No need to carry another device. 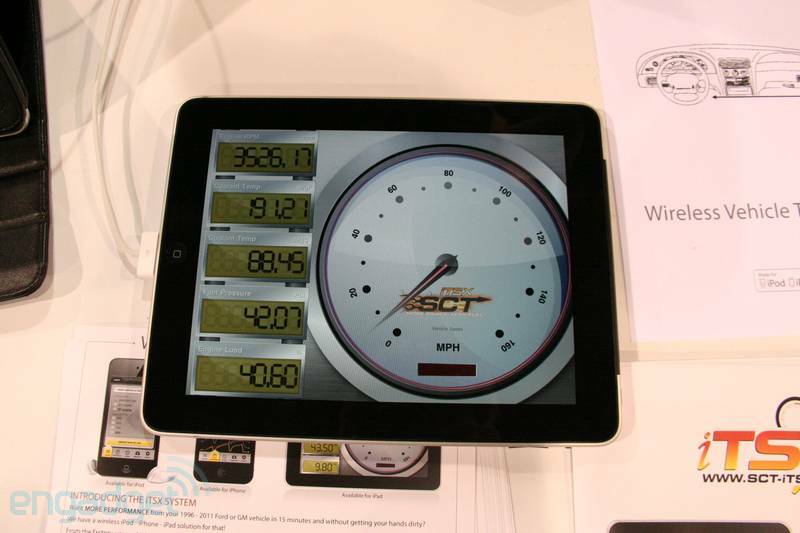 I am also sure I could fabricate some type of mount for the ipad if I wanted to see live data. Is this a hoax? I’m not going to purchase a chip tuner until someone comes out with a system I can use with my iPad. It might as well be SCT or some other innovative disrupter will come along and take a huge slice of this market away from the leaders. If I could do it, I’d be writing the app for this right now. Maybe this is a good incentive to learn how to program iOS apps. This product is now on the market and being sold at performance shops. I don’t see this in the American Muscle store. Are you going to carry it?